Those who cant do teach. That is the prevailing thought, especially in the sports world. This is not the case in the martial arts world however. This came to mind when I was recently asked by a parent upon my entering the dojo, "Do you ever teach class?" It was fair question, most people prefer to get taught by what they consider the highest ranked student of the school. 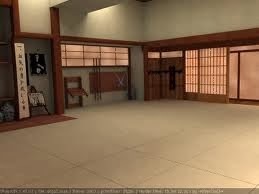 When I am in a the dojo I am teaching whether I am in the class or not. I occasionally meet with each instructor before class to discuss what needs to be covered in the class and with whom. point that there are students who have not seen me teach their class. I do however make it a point to try and visit every class at some point during the month. When we started at the location we are now, I did teach every class since I was the only instructor there were no other options. But as time passed and the school has grown we now have several instructors and many more training to become instructors. One of my driving philosophies in having a dojo was the furtherance of our style. It is why the school is not named after me or a style I created, this was intentional. We are the only school of our style which is not to say there aren't many students spread out far and wide. My driving philosophy is that the students embrace the art they are learning and not any one instructor. I know its hard to combat this, especially with our younger students. They will naturally gravitate to one instructor more than another. Each instructor has their class to teach and on occasion another instructor will substitute. Most of the students react well because the emphasis is on the learning, not the instructor. One of the things I have seen in several schools are instructors who do not embody the physical ideal of the style they are teaching. I find it very hard to believe that an instructor who doesn't maintain a regular training regimen will be competent enough to convey that knowledge to others. As an example lets look at kata. At any given moment during a kata training session you will hear me say that kata has no shelf life. It is an exercise that must be practiced-daily. In martial arts its very difficult for an instructor to teach what they don't know. Students learn in a variety of ways some kinesthetically, others aurally and others by modelling. In many cases its all three. Then I express to my students that the only way I can keep their kata straight in my head is not due to some mystical power conveyed to me or reading about it. Its simple-I practice everyday. Every instructor has facets of their own instructors in their teaching. My own instructor is considered superb kata practitioner. 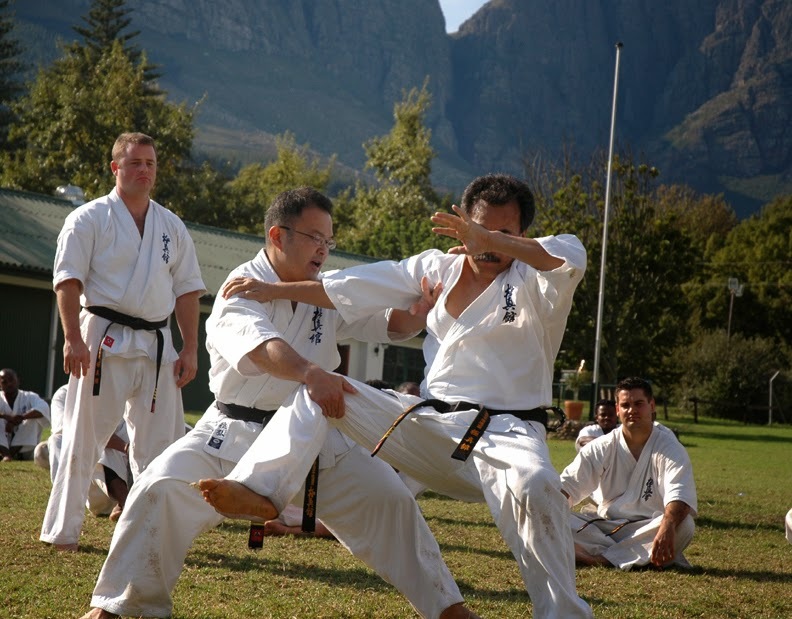 When I first met him and saw him execute a kata, frankly I was surprised . I didn't think kata could look like that. A few years later I had to go to a fight class and I'm watching this black belt basically disarm and exploit every opening present to him. Add that to the fact that he used his legs like arms and kicked at will. 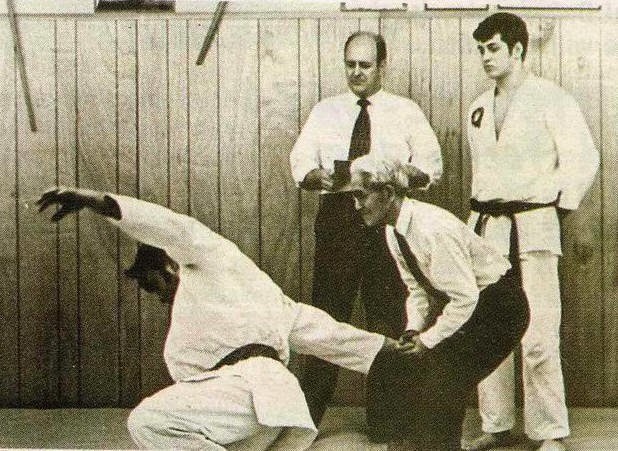 When I looked carefully I realized that this was the same kata practitioner from years earlier the same person who would become my sensei-Shihan Cormack. One of the key things I learned from him and try to show my students is that you can be good at kata, phenomenal even. You can also be phenomenal at fighting. Underlying this is the attitude of being a complete martial artist, of learning everyday. Even though its something I do personally, thanks to one of the seniors at the school we now have required reading for the adults to further their understanding of art and kata they are practicing. Here is one of the ways I was shown to avoid getting hit( we still show it this way in our school). We would go over the theory of what we call the 8 blocks. Basically blocks to avoid deflect and slip(aurally/modelling) Then we would practice the blocks until I became proficient (kinesthetic/modelling). We would then spar where I would be the attacker and Shihan was only defending(kinesthetic/modelling). 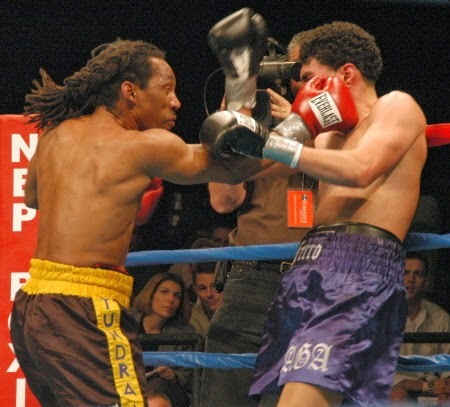 Then we would spar where we both attacked and by this point those 8 blocks are reflex and intuitive. This is how we teach, but if I really look at it this, it is how my teacher taught me, so in a very real sense he is still teaching, everyday at the dojo. Everyday we are exacting about our kata and our kicking and how a punch is to be executed. He is teaching at that moment. This is something that we must understand on very deep level as students and instructors, what we teach remains. We are a link in a chain of instructors, with each link adding something to the overall chain. Remember that learning and teaching is not relegated only to the dojo, but to life. So to answer the parent who asked if I ever teach class. The answer is yes, I teach every class. Due to other time constraints I haven't written in some time I will maintain this as a bi weekly blog until I can devote more time to posting here. Thank you for following! This post is going to make a few of you upset. Feel free to comment below. The rank you possess is artificial. It doesn't tell me who you are as human being and it doesn't inform me as to your level of skill. It doesn't matter in the grand scheme of things either. If the prognosis is you have six months to live-your first thought is unlikely to be "But I'm a black belt!" If your child is in danger, your rank isn't (or shouldn't be) at the forefront of your mind. Your rank is not a determining factor if you get assaulted. No would be criminal is going to ask you your rank at gun or knife-point (it may actually work to your detriment). In fact outside of the microcosmic world that is your dojo, your rank is virtually irrelevant. This is evidenced by the differing of opinion in what a rank means among styles and occasionally even within the same style but differing schools. I know this may be news to some I have to confess it took me a long time to learn. So why have a ranking system? Ranks 8th kyu to 1st kyu and Shodan and above were created to gauge the relative knowledge of a student. A mental shorthand for instructors. 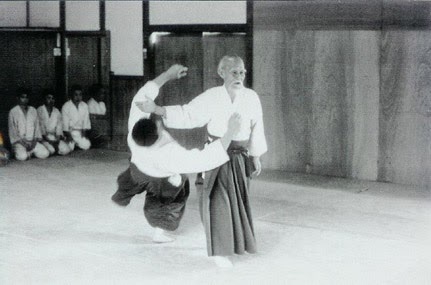 The creation of the dan-i system attributed to Jigoro Kano and later borrowed and implemented by Funakoshi is said to have originated in 1924. 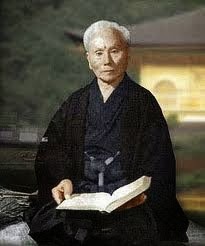 Around the inception of judo, Kano devised the system to determine where a student was in terms of their training. When used for its intended purpose ranks are instrumental in encouraging a student to train and increase their knowledge base. There are schools that still exist with the Menkyo or Shogo rankings in place. In these schools the attitude is "Expect nothing" come to the dojo and train hard. I like that position because it keeps the ego in check. If you arrive at a dojo with this attitude then everything is welcome. These systems are beyond the scope of this post, but take a moment to research them both, it will prove informative. At some point it's my opinion the ego entered the equation. Which usually happens when dealing with humans. How could I possibly be a third degree when the school down the road has a 7th degree and surely I am more skilled than he is? Therefore I should be at least 7th degree but in order to show my superiority I will promote myself to 9th degree thereby ending all doubts. I know this sounds far fetched. Unfortunately it happens often. Once ego enters, its hard to remove its influence. If its not ego driven, sadly its profit driven. Very few instructors want to be Sensei irrespective of rank. In fact I think it would be an interesting experiment to award stripe-less black belts and see what the reaction would be. I hate to break it to you, no its not. 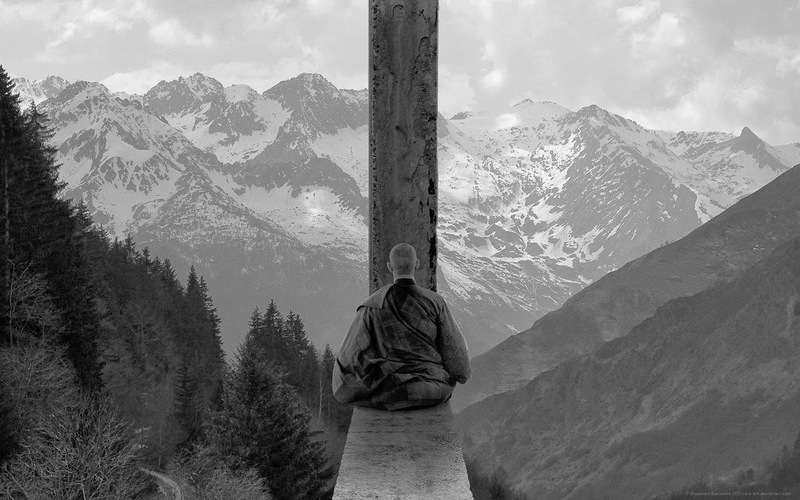 Many of the practitioners of old practiced until they could no longer physically do so. 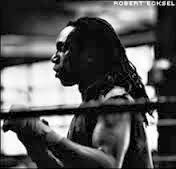 Even after they could no longer physically train, they taught( some into very advanced years). Why? Because martial arts by their very nature have no shelf life.The moment your training stops being consistent, your retention suffers. If you are a senior student (shodan and above) and haven't trained in many years I can guarantee you that you are no longer at the skill level or proficiency you were when you received your rank. What should you do when you return to your training? Wear a white belt. More importantly if asked what rank you are the most humble reply would be-"Currently I am a white belt." I say this from experience having stopped for two years in my training. When I returned I put on a white belt for some time. When I visit other schools where I am a student, I put on a white belt. This is not to state that I am the most humble. I have to fight ego as well. Putting on a white belt helps me keep that ego in check and keeps things in perspective. Does this mean we disrespect those who came before us? Those who paved the way for us to be where we are today? Absolutely not. Yet even the masters and founders of styles recognized that their lives were like seasons. They diminished so others could grow. They respected each other regardless of style practiced and shared knowledge with each other. Many of the founders never received a ranking (some being awarded posthumously) because they understood the inherent danger in ranking without wisdom. In our style we don't focus much on rank. I like the "expect nothing" mentality because then it means you give everything to your training. I think rank has a place in martial arts but it has been misused and abused and frankly doesn't really mean much these days. I would rather get to know the person and sweat with them on the floor. That will tell me much more about who they are than the belt that is tied around their waist. In the end I always tell the students especially the kids- its not the belt that makes the student, but rather the student that makes the belt. Its January so let me wish you a Happy New Year. This is the time of year where many people rededicate themselves to physical fitness. It is the time of New Years resolutions. In our school January is the month of Kagami Biraki, the start of a new year. We usher it in with hard training and pushing ourselves past our perceived limits.Cultivating new energy for a new year. Its very similar to what is happening in many gyms at this time of the year.. The dojo however is not a gym. Let me share my thoughts and show some of the similarities and then I will explain the differences. In both locations the purpose is to go and stress the body. You can work hard in both the gym and dojo. Both places are designed to transform your body. Both require a commitment on your part. Both can be social settings and both produce results. On the surface they seem interchangeable as if one is just an expression of the other. It would be a mistake to think so. Let me explain the differences between the two. 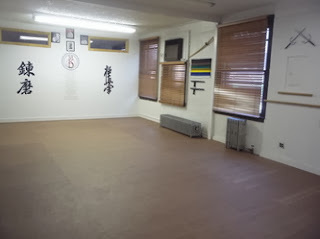 A dojo is a sacred space. This is the definition of sacred in the context of something that is worthy of spiritual respect or devotion, not in the context of any of the worlds religions. When you enter a dojo you respect the space because of what it symbolizes in your life. When you enter a gym, at least when I enter one there is no sense of the sacred demonstrated by me or that I can witness by the members of the facility. A dojo is a place of transformation. You will be transformed in a gym. If you are consistent and train with regularity your body will change. In a dojo the transformation runs deeper. When you train in a dojo you are faced with who you are at your core. The transformation takes place on an incremental level, subtly. You wont always be aware of it occurring, but it is happening. You will experience the outward of transformation of your body like in a gym, but you will also experience an inward transformation. Your entire demeanor will change, you will acquire patience, with yourself , with others and with the process of growth. You learn to embrace the journey as opposed to being focused on the destination. This is a very different mindset from being in a gym where the goal is what matters. Training in a dojo is hard. It requires a level of commitment not usually seen in a gym. You must be willing to push yourself beyond what you think your limits are on a consistent basis. This is not to negate the hard work required in a gym, however the hard work required in a dojo transcends the physical and enters the spiritual. You are not only working on your body but your entire being as a whole, spirit mind and body are impacted. There is no room for your ego in a dojo. It only serves as an obstacle to learning. You cant bring your ego into a dojo and expect to progress because it will constantly remind you of what the other people in the class are doing how much better you are or how much worse you are than those around you. It seems to be quite the opposite in a gym where ego gets fed on a regular basis. I can lift more than the next person, my body looks better and so on. You may be a regular at a gym and even have training partners which make the training in a gym easier. When you commit to training in a dojo you become part of a community, a family. You learn not just be concerned about yourself but about the journey of your fellow classmates. 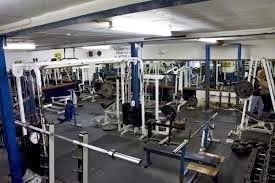 The social setting in a gym is one of isolation in most cases. In a dojo your are on an individual path as well. The difference being that you are connected to those that came before you and after you. The sense of connectivity is what creates a dojo family. We have all walked the same path some have started before others, but we are still on the same path. In a dojo you come just the way you are and are accepted. There is no ideal you need to measure up to. The only limits that exist are the ones you impose. The only comparison that exists is when you compare to yourself of the past. Each person in the dojo serves each other. We spur each other on when our energy wanes. When we think of quitting we reach out and extend a hand to help you continue. Though they may be similar but, a dojo and a gym are not the same. They each serve a purpose and it depends on what you seek in your life and in your training that will determine where you invest your time and energy. P.S. I wanted to share with all of you that I just released my latest book and you can find it HERE. It was a pleasure to write and I hope you enjoy it as well. If you do pick it up please leave a review. Who do you face in the Dojo? I recently had a conversation with one of my senior students. It reminded me that we are all walking the same path, the only difference is our location on the path. We were discussing what happens when our training is neglected. How difficult it can become to return the dojo because we perceive there will be judgement or we don't measure up to a certain standard. When I suggested to the student that all that needs to be done is showing up at the dojo and training, I was subjected to the reasons why this was difficult. Let me know if this sounds familiar: "I'm out of shape." "I have other commitments." "What will the other students say, I'm a senior and wont last the class." "I'm embarrassed." There were a few others, but I'm sure you get the idea. When I suggested the student just show up and train, the defiance arose within the student. I was subsequently told, "I cant believe I'm being defiant with you." I had to laugh (and I did) because this student thought the defiance was being directed at me when in reality it was being directed inward. I told the student that my position as a teacher is to stand in and for the potential contained in each person. The same way it was done for me when I began. My teachers did not see the awkward student who couldn't perform techniques correctly, but rather the student I would become if I dedicated myself to the training and practice. I had reached shodan( first degree black) and I told my then sensei, who is still my present day sensei, I think I need to take a break. 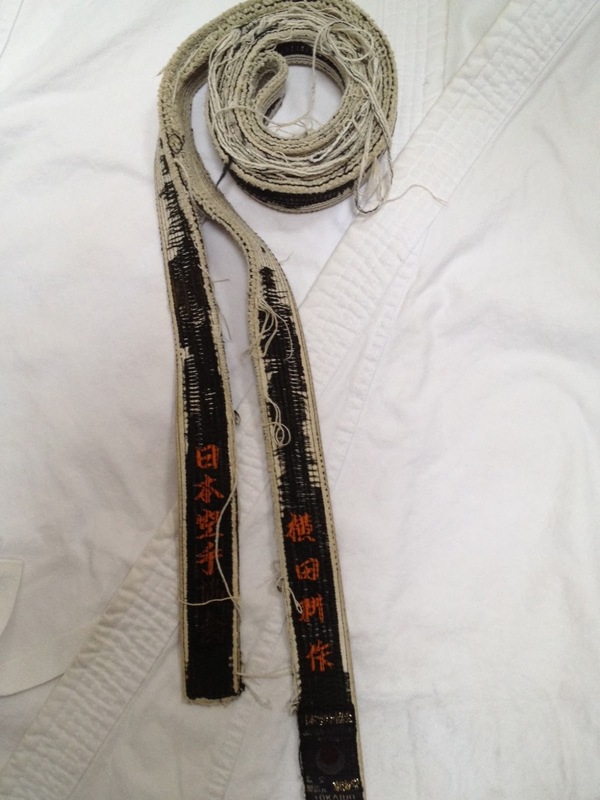 I had trained hard for four years and felt I deserved a break after getting to black belt. His response still resonates with me today. He said "At shodan, you are just starting. This isn't the time to take a break, this is the time to train harder than you have before." I didn't want to hear that. Not only did I not want to hear that, I couldnt hear it at the time. What I wanted to hear was " You're right, you have trained incredibly hard these past four years, why don't you take some time off and relax?" I walked away from that conversation, frustrated and angry. Determined to do what I wanted to do. I took off two years from training. For two years I didnt train. I didnt visit a dojo, practice kata or engage in any activity that could be considered martial. Two years later I started visiting my sensei, who when he first saw me made me feel like two days had passed not two years. His first question was, "When are you coming to train?" My responses were very similar to what the student told me. I needed to get in shape, I'm a senior and what will the juniors think of me, I don't wan to embarrass you (this one is by far the most destructive-Ill get to it later), My techniques are rusty, I don't even remember half of them. And so on went my reasons. He listened patiently and waited for me to finish. "Just come to class." was his response. And I did and haven't stopped since-over 22 years later. Where do these responses come from? Why do we say these things went confronted with a situation like this? The easy answer is fear. We make commitments and excuses to cover our fear. I made sure I was so busy during those two years that any time I had would be occupied doing something else. Its a ploy to mask fear. The other answer is ego or saving face. We remember where we were and are loathe to return to a state where we may not look as good, to be a beginner again. That is ego driven thinking. The comment about not wanting to embarrass my sensei is destructive because not only does it play to my ego, but it implies that his ego is as inflated as mine. You have heard me say many times in the past that the dojo is a forge. It burns off impurities and you leave the dross of your character, techniques and spirit on the dojo floor. However a forge is only useful if you enter it. You must place the metal INSIDE the forge. The same way you have to ENTER the dojo. The dojo is also a mirror, because the only person you face when you are on that floor is yourself. Its the you from last class, the you from last month, last year. You are always facing yourself on the dojo floor. There is always something to be polished, some technique that can be performed better. That is the ongoing state of the dojo and the student-regardless of rank. The next time you step on the floor, it doesn't matter where you are, remember that the greatest challenge lies within. I'm currently working on several book projects and so will take the holidays to restructure my new year schedule, train, and spend time with the family. Thank you all for the follows and the comments. This past weekend we had a promotion. One of the many things I realized about our school is our sense of community. Every rank that advanced demonstrated a strong spirit, perseverance, determination and courage. We had some moments of levity especially with the children, because children will give some of the most creative answers. The promotion took place over two days. Initially we did them all in one day and ended up with very tired children and wilted parents. Going through the requirements for several ranks in one day makes for one long day a very tired students. We decided to separate the ranks and test them individually. Also the children and adults test on two different days. It makes for two very long days for the seniors but they support the test because of their commitment to the school and the students. This is only a few out of 400 pictures that were taken over two days. I tried to show the overall spirit of unity we have in the pictures. Picking the ones to showcase was difficult because every picture showed something amazing. Some of the things the pictures do not show are the fortitude the students demonstrated when the test became difficult. One of our seniors-Senpai Mark make a comment which stayed with me. "Each rank is raising the bar- this is amazing!" It was true, each rank kept amazing us. With their command of technique and precision. It was inspiring to see the progression skill. We started the morning with white belts and worked our way through the day until evening with the advanced yellow belts. In each group we could see the techniques get sharper. One of the things that came through the most was the intent behind the techniques. In the white belts we could see the idea start taking hold. By the time we were looking at advanced yellow belts there was no doubt in our minds that they had internalized the concept of intent behind the technique. I want to express a heartfelt thanks to the Seniors who helped make this promotion the extraordinary event it was. Senpai Mark who made sure the intensity was ever present. Senpai Elena who made sure the precision was not forgotten. Senpai Orlando who gave the students a sense of security and comfort. Senpai Joshua who gave the students a map to follow during their kata making sure no one got lost. I also want to thank all of the parents who stand together with us in their children's lives as partners for their martial path. Thank you for taking the time out of your incredibly hectic schedules to make time to bring your child to class. I know that there may times its not easy, or convenient and yet you manage to make it. That is our community in action. The inception of most the groups started with tears. Even before they were on the floor, there was nervousness about knowing material and fear of the unknown. I had several conversations with members of each group and the recurring theme was the fear of the unknown. After a few moments and they had calmed down they would enter the dojo and they each excelled. To highlight the feeling of community one little boy said something very moving. He told me he didn't want to take promotion because he didn't want to ruin it for his group and give them extra push-ups. I assured him that there was no way his group would avoid push-ups. More importantly I stressed to him that the only thing that was expected from him or anyone testing that day was that they did their best. He put on his uniform and entered the dojo after that. That is what I always expect from the students. We set the bar high, they met and surpassed the bar. Each group moving it higher for the next. The other facet of promotion that they only experience on the day of is the breaking aspect-tameshiwari. We only do it during the promotion. For many of the parents it may seem like this is an easy task, break a quarter inch piece of wood with your hand or foot. For the students testing it may as well be a cinder block. Its not easy and they demonstrate an incredible amount of mental fortitude that leaves us speechless. There is a deep sense of accomplishment when they do manage to break that is palpable right after the break and they get their pieces of wood. The ones that don't manage to break their wood get to take it home. I always enjoy hearing the stories at the next class of how they went home and broke their boards. Most of the time they come back to the dojo holding their pieces of wood as evidence. Board breaking in itself is not indicative of great physical prowess. Although its not easy, by any stretch of the imagination. What it does is show them how much power they have in a visceral way. It shows them that they are getting stronger, not only physically but more importantly mentally. If you have any doubt as to the difficulty get yourself a few one inch pine boards and punch through them. It requires a certain kind of mindset to accomplish. The last group (advanced yellow) had one added dimension to their promotion. They had to spar. If the promotion is stressful fro the other ranks imagine that stress being ramped up ten times as much with the introduction of kumite or sparring. To say they did well would not do them justice. They fought exceptionally well. One young man had recently suffered a broken arm. We were taking precautions so he not re-injure the arm and in one exchange he fell on the arm that was recuperating. The fact that he came back in to finish even in the midst of fear and pain that he may hurt himself again is a testament to his strength of character. They fought until they thought they couldn't stand any longer and then they fought some more. When I tied their belts around their waists each one was beaming with a sense of having achieved something larger than themselves. The next day we had the adults and Senpai Mark prefaced the promotion by letting them know that the bar had been set by the children the previous day. It was a grueling and intensely physical promotion. They were tested beyond what they thought was possible. They withstood heat and exhaustion. The mental and physical fatigue was a constant throughout their test. Those that fought had to dig deep to find another reserve of strength after a four hours of testing. They found their reserves and surpassed any and all expectations. You were all incredible. I am humbled and honored to know you and to walk with you on this martial path. New Adv Blue/ Yellow belts!! In our dojo kun, our dojo creed there is a line that states that we should respect our superiors. It has been brought to my attention this week by several of the students that if we are studying an ego-less way who are our superiors? Its a very good question. The term respect our superiors can be viewed several ways. You can see it from a point of view of those who may be superior to you in skill or rank. It can also be viewed from the point of view of those who are superior in knowledge or social strata. I pointed out that it can also be viewed as those who are elder to us. This is where it gets interesting. If we see it from this point of view it changes our entire practice. all those who we come in contact with, in and out of the dojo. However those who are elder deserve a special respect. Let me share with you why. Those generations that have come before us have paved the way for us. In many cases they have suffered hardships and difficulties so that we can have a better life. This is not just relevant to martial arts, but to society as a whole. When we show this generation respect we are acknowledging their contribution to our lives. We are each born into the link of a chain that reaches back through the generations, both in our biological families and in the adopted families of our practice. Sadly we live in a society and culture ( in this country) where growing old is not valued, but rather is something to be avoided. You only need to look at the cosmetic industry and you can see what an "evil" getting wrinkles, and by default aging is. In other cultures the elderly are venerated and are celebrated. In our society the elderly are discarded, put in homes where someone else can take care of them. The unspoken message is that they have outgrown their usefulness, in our lives and in society. In a martial practice respect is a very important component. You respect yourself, your fellow students, and your teachers. You are also taught to respect your lineage. As a martial practitioner you are expected to know where your style comes from and who made it possible. Each one of us that studies a martial art is the embodiment of the will of our elders. We are all connected, we are all one. The great lesson that we learn both in martial arts and life is that youth and skill are temporary, but spirit and will can transcend your lifetime. The pictures in this post are familiar to most martial artists. 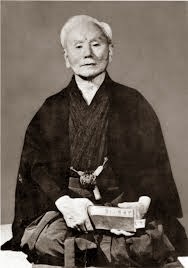 The top picture is Sensei Gichin Funakoshi which is considered one of the fathers of Karate and was the founder of Shotokan karate a style which is still practiced today. The woman in the red belt is Sensei Keiko Fukuda, at 96 she was a 9th degree black belt in judo, had been studying for 74 years and still taught three times a week. She passed away at 98 and is reported to have said at 96 that she needed to "slow down a bit" in her training. She was also the last living student who trained directly with Judo founder Jigoro Kano and the highest ranking woman in Judo. 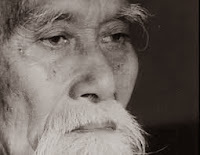 The last picture is of O-sensei Morihei Ueshiba, the founder of Aikido. Known for its soft and circular movements, it is a highly effective art that is still practiced today all over the world. I highlight these three teachers ( and there are many more) because they all practiced way past what would be considered their prime years. The trained and taught even when their bodies no longer held the vigor of youth. They were valued and respected as people and as teachers. Lets take this attitude into our own lives and respect those who have come before us. It is interesting to note that when students ask me what the stripes on my belt mean, I tell them " it only means I have been doing this a little longer than you have." The word sensei literally means born before. Using that definition we each have many sensei in our lives. Let us show them the respect they deserve. My wife recently shared a video with me. What occurs in the video disturbed me. In this video we see a young boy (8 years old) retrieve his mothers wallet from a thief who is making away with her bag. What the little boy did was quite admirable especially at his age. However I feel it was wrong. There were so many things that could have gone wrong, that thankfully did not. The thief could have struck the boy. The boy was also in danger of being run over as he chases the truck. The worst case scenario would have been if the the thief abducted the child. A very possible outcome. There are deeper lessons here as well. What are we teaching our children when we see a boy risk his life to get his moms bag back? Are we sending an unspoken message that things are very important-more important than our well-being? I have a saying that I say to my wife constantly. She says its my mantra, and she is right. The saying is: "Don't leave anything in the car that you aren't willing to lose." What does this mean? It means you don't leave items that you value or that have intrinsic value sitting in the car. I learned this the hard way after leaving my wallet in the car once and remembering I did so ten minutes later, only to discover a broken window and no wallet. The incident in the video would never have occurred if the mother had taken the bag with her AND locked her doors. I'll take it a step further, beyond things. I never leave my children alone in the car-EVER. Doesn't matter if its gas or a bagel in the morning. Weather is not a factor either. If its too inconvenient to take the kids, its too inconvenient and will have to wait until I'm alone. This mother was very fortunate her son wasn't hurt or worse. She had the right response if you see her reaction to the incident. She needs to go further and take the steps necessary to prevent things like this from happening in the first place. By leaving the bag in the car she was the catalyst for the event, since it was a crime of opportunity. I can't help but feel that as a new yorker it amazed me that she left her bag in the car to begin with. This is an action that does not occur in big cities, we just don't do that. Me: That means that you are special, unique and important to Mom and Dad. They both nod in agreement clearly pleased at having the right answers and realizing that in the ENTIRE UNIVERSE there is only one of them and that their safety is important to me and their mom. Its a lesson that needs to be repeated often. This not only goes for the children it goes for you as well. The question in the heading "What are you willing to defend?" comes from our self defense course and is always asked by our instructor Senpai Elena. The second part to that question is : "How are you willing to defend it?" We have had people who may shy away from defending themselves for a multitude of reasons. Once they are asked-What if your children are in danger? It shifts immediately to ferociousness and devastation. Why not be aware and defend themselves all the time so that they can be around for those they hold most dear? When presented that way, you can almost see the light-bulb go on. If you learn to be aware, take the appropriate steps, and acquire the skills-you can diminish the danger to yourself and your loved ones. Don't let it take a close call or worse to begin this. Start today.